7 Easy Steps to DIY Change your Blog Theme the Non-Techy Way - What's up Blogging? First of all, I’m not calling this a method for the right way to do this. I’m just going to call it a “HACK” for those of us who are tech challenged. And really, I don’t consider myself tech challenged, but I have fear. And that Fear’s name is “I WILL BREAK MY SITE”. Yeah, I needed a creepy font for that. It’s scary! If you have a developer, you pay them to build your site off-line, and then one magical day they transfer it over to your URL, and like a Fairy Godmother…you have a new outfit! But unless the Fairy Developer is bestowing free magic, it costs money. And I like to DIY when I can, to save some money. So, Here is my DIY “Hack” to Change Your Blog Theme Without a Developer. 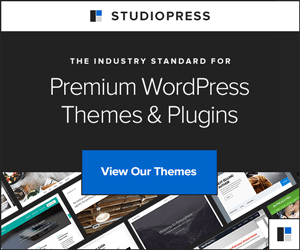 In a nutshell, you will build a test blog with the new theme, import all your blog content, and figure out how to make it look like you want, while taking notes. Then after you know what you are doing, you put your current site in Maintenance Mode and just switch the theme, knowing exactly how to make it look right, and get it done in a few hours. I don’t mean “buy” another domain. You don’t have to. There is a way to set up a subdomain as a new URL under your current domain. Next click to your cPanel and find “Install WordPress” or just the WordPress logo. This is how you install WordPress to your new domain. When I clicked, I got this option, and following that was an option to pay Bluehost to Install. No need for that! So just click Install. The next thing that they will ask you is what Domain to use to Install WordPress to. Just use the Dropdown menu and choose the new Subdomain that you just set up. Search for and Install the Plugin “Ultimate Maintenance Mode”. After Installing, go to the panel for the plugin and Enable it. I put this step before installing the Theme, because I feel it helps to have a bunch of posts to populate all the normal places you are trying to tweak and get right. Go into your current blog, to Tools/Export. Export “All Content” to a zip file by clicking “Download Export File” at the bottom. Then go into your Test Blog, to Tools/Import. Import using the zip file you just made. Now all your posts, pages, menus, etc. will be in the new blog, ready to be re-designed. Now you are ready to start playing with your new Theme. Install it and activate it. 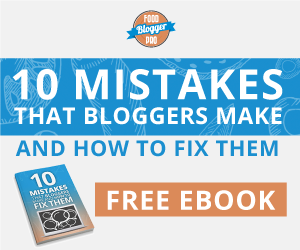 Your blog may look like a mess now! Many themes are very different, and you have to read the theme documentation to get things to look like you saw them in the Theme Demo. This is the part that takes time. You may have to “Google” your theme a few times if you get stuck. You can take all the time you want figuring this out. It may be quick, it may be something you work at over time. The best advantage is that if something is not working, it is not live yet. You have time to get it right. When you know you are ready to change over to the new theme, you are actually going to recreate your Test Blog onto your current site and URL. If we had developers, they would just transfer it for us so we didn’t do the work twice, but that is where you are saving money! Install the Ultimate Maintenance Mode Plugin into your current blog, and enable it when you are ready to start. This puts your entire live blog on maintenance, and no one will be able to access it. Some people like to do this at low traffic times. At the very least, you may want to alert your followers on your social media. Install your new Theme and get busy making all your changes to get it looking right. When all is well, take your blog off Maintenance Mode and you are DONE! Thank you, Jill! I know my hubby will really appreciate this! Great information, Jill! Thank you for sharing this! WHY DIDN”T I THINK OF THIS!? I’ve been wanting to test some new theme tweaks, but I haven’t felt like doing all the stuff I’d need to do to ensure my site doesn’t get accidentally destroyed. Ugh. Such a great idea. Thank you! Haha! So glad Chelsey! It is totally the wonky way. But for us non-techy types…it works!! Thank you so much for this! I’m new to blogging. As easy as WordPress and Bluehost try to make it for people like me (who are nearly useless with a computer) it still feels like learning a new language to me. As I have gained momentum, I have wanted to switch things up with my theme, add a logo, and just generally play around a bit. Until now, I’ve been terrified that I would break the site I spent so much time making barely functional. With this advice, I can finally figure out how widgets work without panicking! Yay! 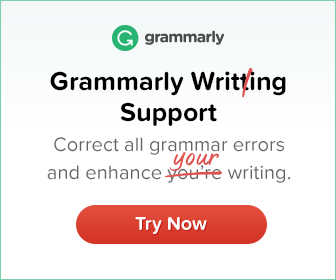 I’m so glad this could help you! It is sometimes scary to make changes with these technological beasts like WordPress! I was thinking of changing my blog theme but too lazy to do everything all over again. Now is the time to do this. Thanks Jill for the amazing post. thank you for a very useful and easy to follow post. I have been fluffing around with a very restrictive theme but didn’t want to have the site down. This will be my project for the week.